Two members of or blog are currently traveling in japan together so we’ll be reporting back to you about the things we eat! 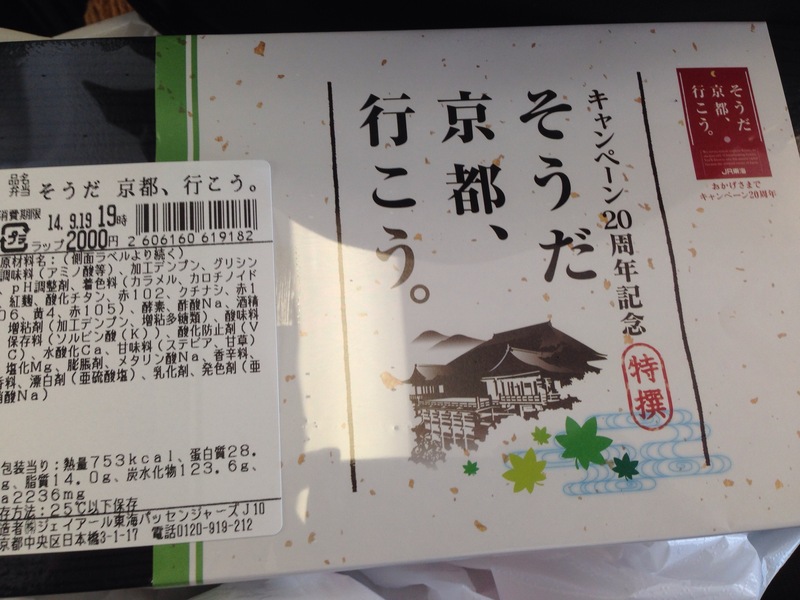 We began our Shinkansen trip to Osaka with two Ekiben (railway boxed meals). 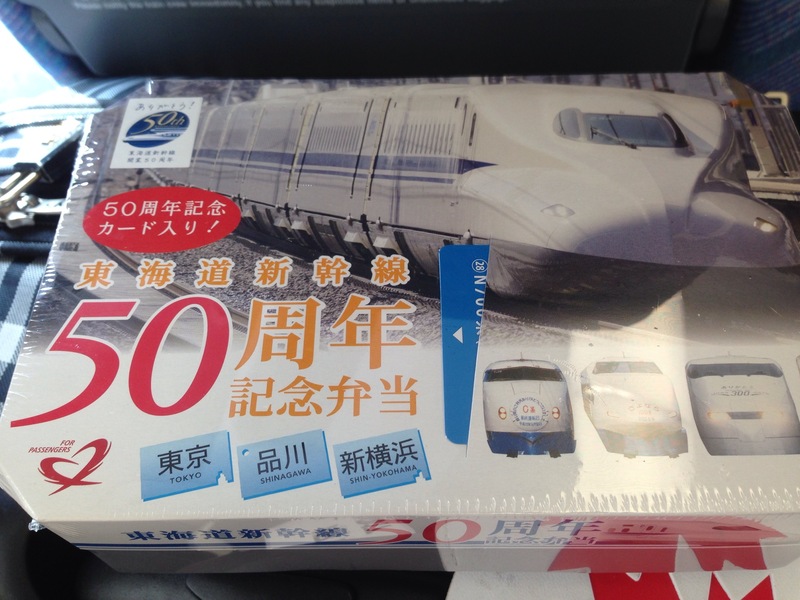 I had the 20th anniversary kyoben while Marissa had the 50th anniversary railway bento. The kyoben was an adventure in itself! Every bite was filled with surprising flavors and I was unable to predict what each piece would taste like. Perhaps it is due to my unfamiliarity with Japanese food but I found the kyoben to be an extremely flavorful adventure. The flavors were all extremely sharp upon your tongue and makes you jolt up from the unexpected sourness or it just makes you simply smile from the soft flavors of the well grilled fish pieces. 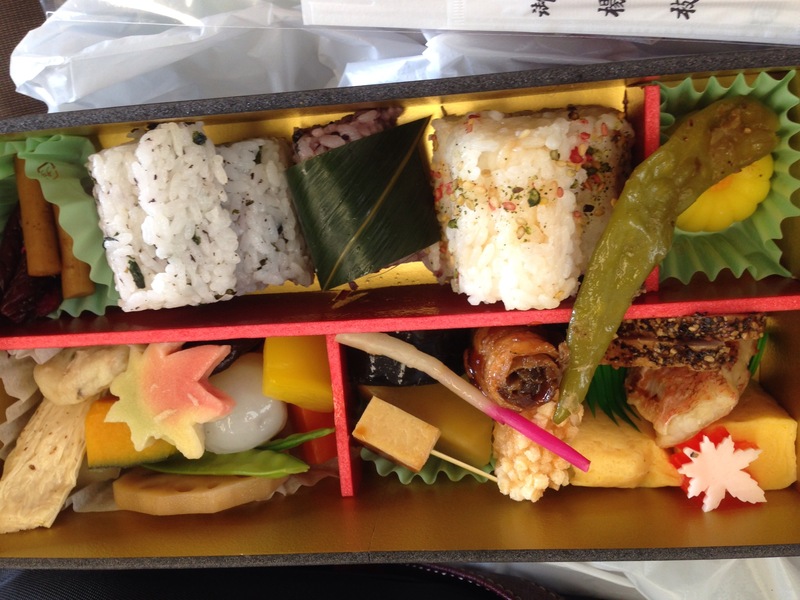 The kyoben was the perfect bento to start off your adventures! 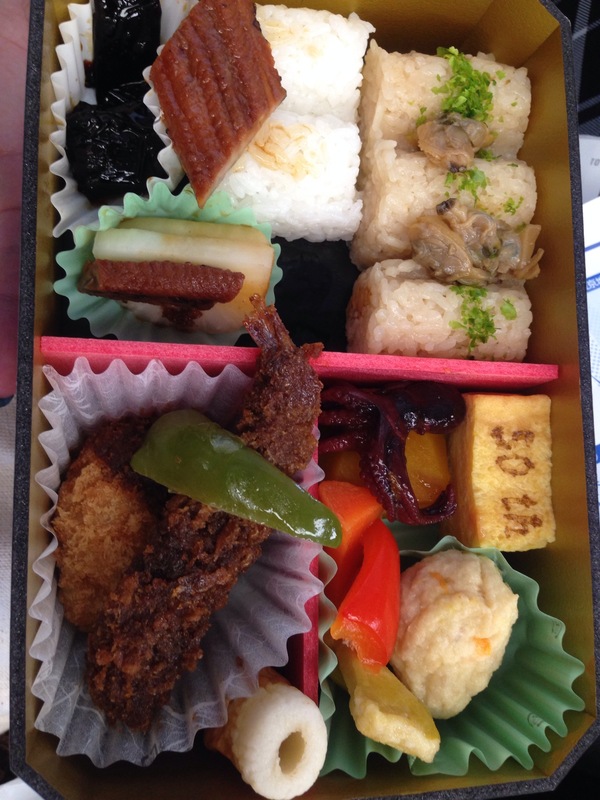 The 50th anniversary ekiben was a bit too strong for Marissa as she felt nauseous on the train. Hopefully she’ll find an ekiben that suits her when we travel back!